Redecorating your home can add value. If you are looking for ways of increasing the value of your home through building work, then you are in the right place. The value and beauty of home are not just about the cosmetic enhancements such as converting the loft alone. You also need to conduct some basic structural repairs and construction jobs to give it a new look. Below are some building enhancements that will increase the value of your home. Off-street parking is important, especially in urban homes where street parking has been prohibited. Creating single or double parking spaces in front or alongside your home can add significant value. You can even sacrifice part of the front garden and build a parking space there. You will not need any permission to create a vehicular access onto your land from an unclassified road. However, all builders must comply with the local authority Highway Regulations when constructing the drop kerb. Building an off-street parking can increase the value of your home by at least 3%. One of the quickest ways of transforming a room is the addition of a fresh coat of paint. 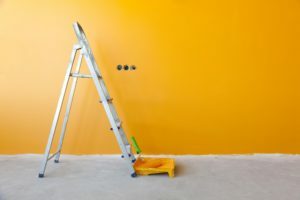 However, it isn’t advisable to paint your whole home before putting it up for sale. You can avoid spending thousands of euros when all you need to do is hit the front walls with the magic eraser and maybe redo one or two rooms. The two places you should consider painting is the kitchen and the bathroom since they will always attract the eyes of a potential buyer. Make sure that you also paint any brightly coloured rooms in your house. Avoid painting the bedroom purple since it will keep off any potential buyer. Simply choose a colour that hides the old paint leaving a relatively smooth surface. The kitchen remains the king when selling your home. An attractive, hygienic and good looking kitchen will increase the value of your home. In case the kitchen is in a worse condition, you should consider replacing it. However, some few structural changes can give your kitchen a new look. You can simply add new door handles and worktops. You can also consult our builders in Dublin for more layout ideas that can give your kitchen that stunning appearance. Today, sunrooms act as a bridge between your home and the outdoors. The sunrooms form part of the outdoor living experience which includes fireplaces, upscale patios, and outdoor kitchens. Our builders in Dublin can construct both heated and unheated sunrooms. The unheated sunrooms are three-season while the heated ones are four-season. The sunrooms may include features such as tile flooring and skylights. By adding a sunroom, you are typically increasing your home’s square footage. Adding a sunroom will cost you less than half the cost of adding a standard room to your home. These rooms are attractive to home buyers, especially those in cold areas.